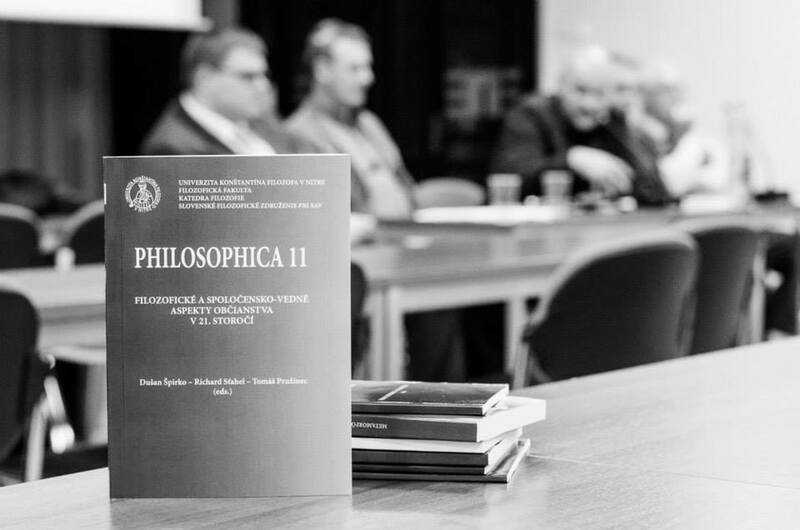 The second panel discussion titled „Getting closer to philosophy with philosophers“was held on 24th of February 2016 in Dormitory NITRA. 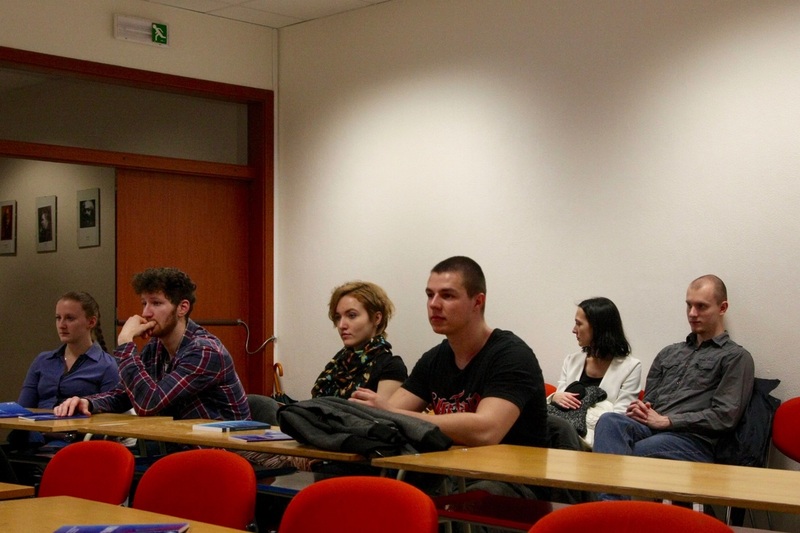 The main topic of the discussion was the relevance of philosophy today. 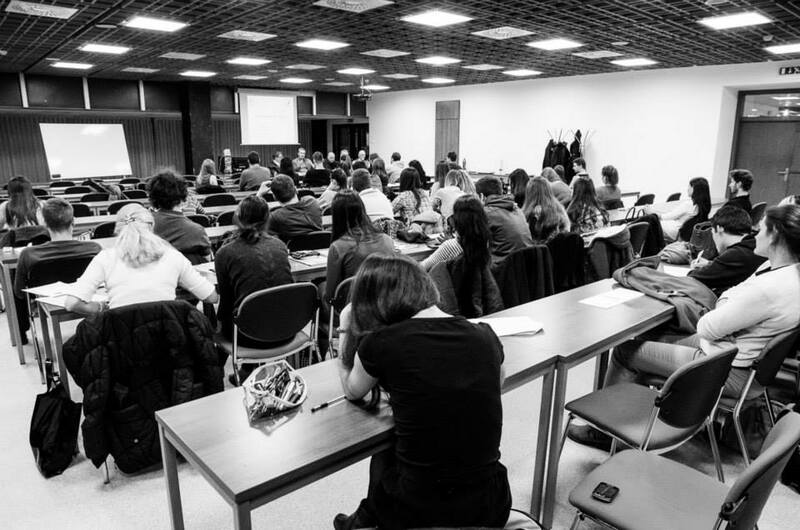 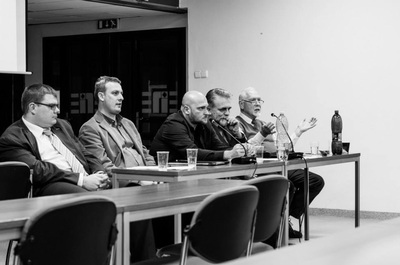 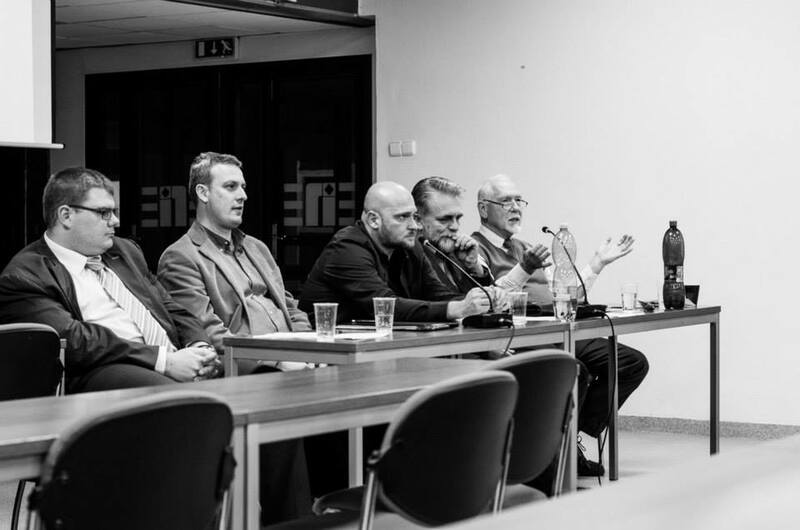 The discussion was organized by the Society of friends and students at the Department of Philosophy in Faculty of Arts at the Constantine the Philosopher University in Nitra in cooperation with the department. 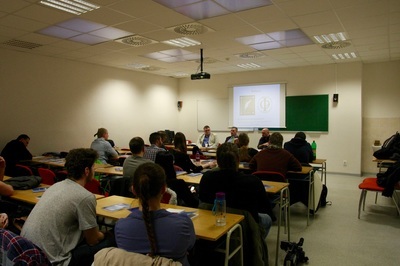 Guest speakers were employees in the department of philosophy- Mgr. 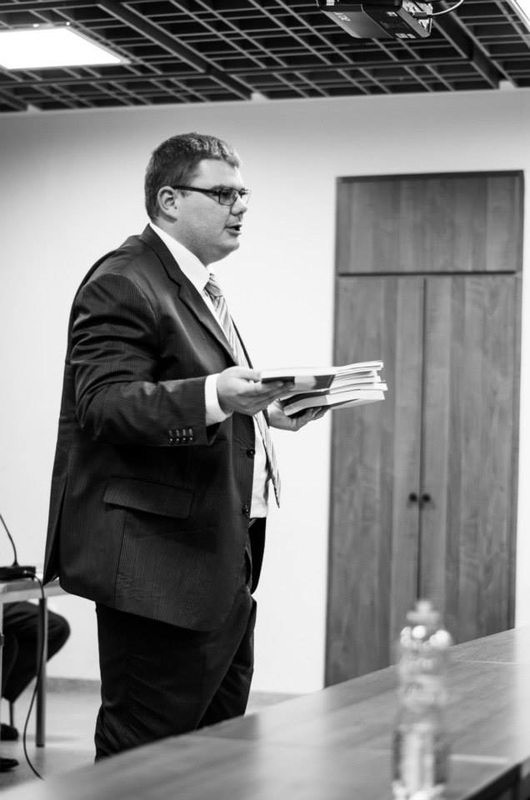 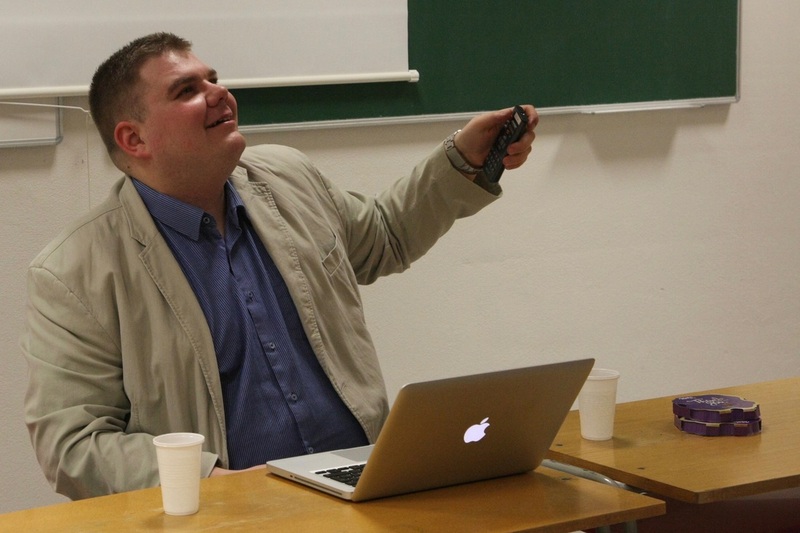 Richard Sťahel, PhD. 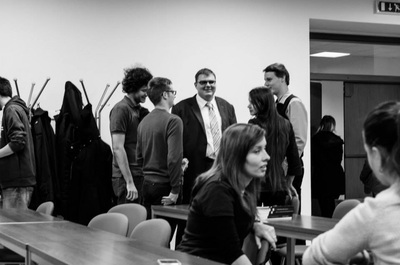 and Mgr. Klement Mitterpach, PhD. 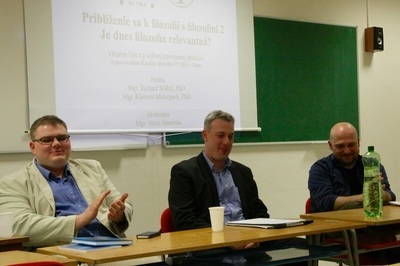 The discussion was moderated by Mgr. Matej Smorada. 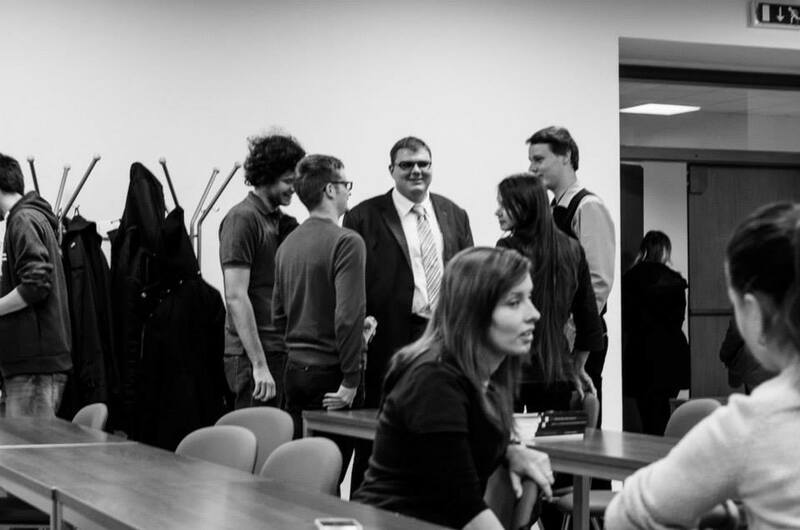 The aim of the discussion was to create a space for an informal meeting of students and friends of philosophy with employees in the department. 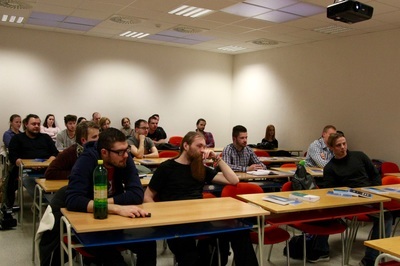 We also wanted to provide different perspective of looking at philosophy than any lecture or seminar allows. 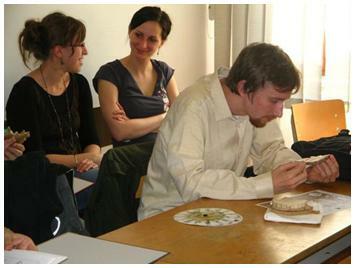 Dialogue as one of the first methods of philosophical research allows looking at various problems from different perspectives. Our guests firstly answered moderator´s questions; later on the audience had space for questions. A short reportage about the event (TV Nitrička) is HERE. 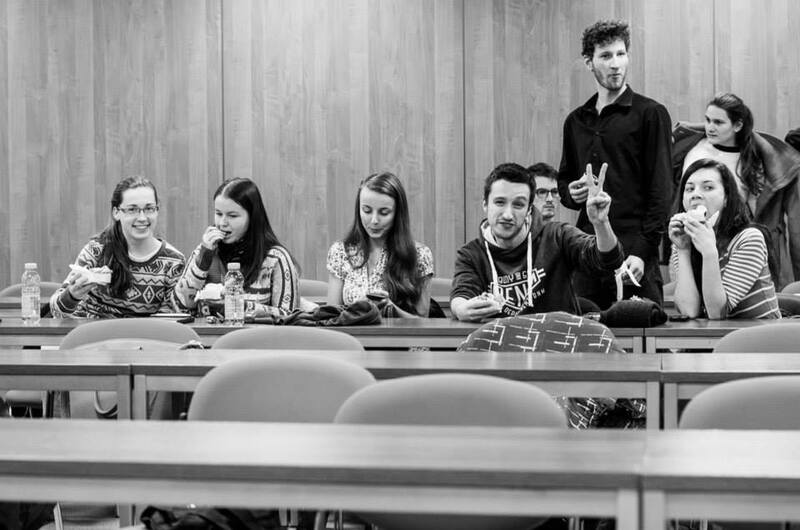 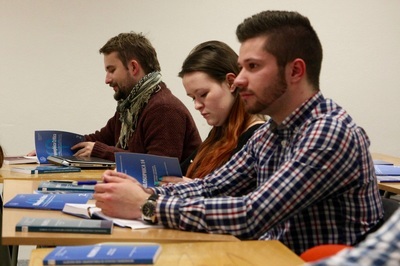 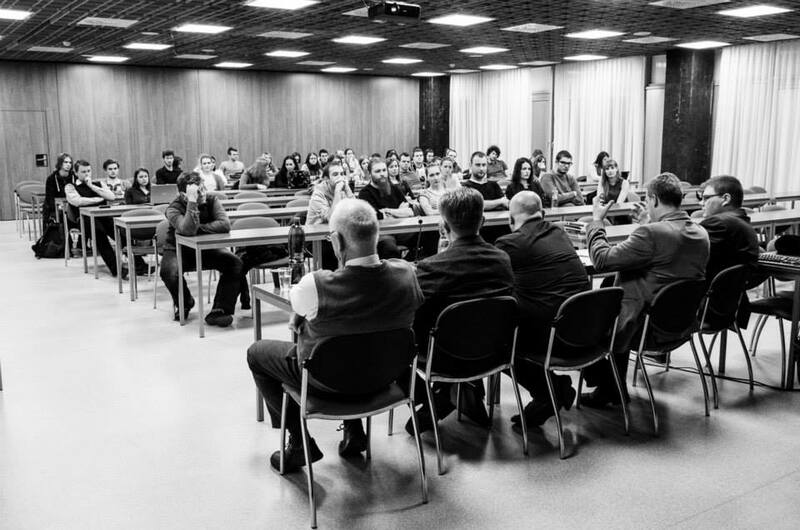 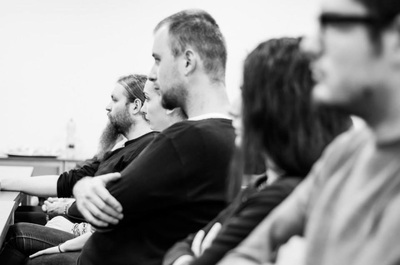 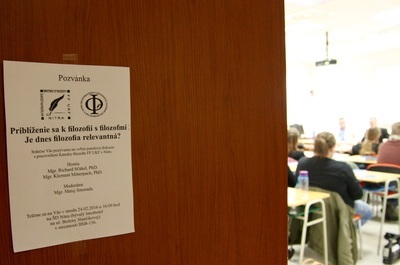 A panel discussion was held on 24th of November in 2014 where students with specialist were trying to answer the question about the importance of philosophy in present- day society. The purpose of the event Getting closer to Philosophy with Philosophers was to explain philosophy to the broad society and motivate the students of the Department of Philosophy at CPU to more intensive student´s life. 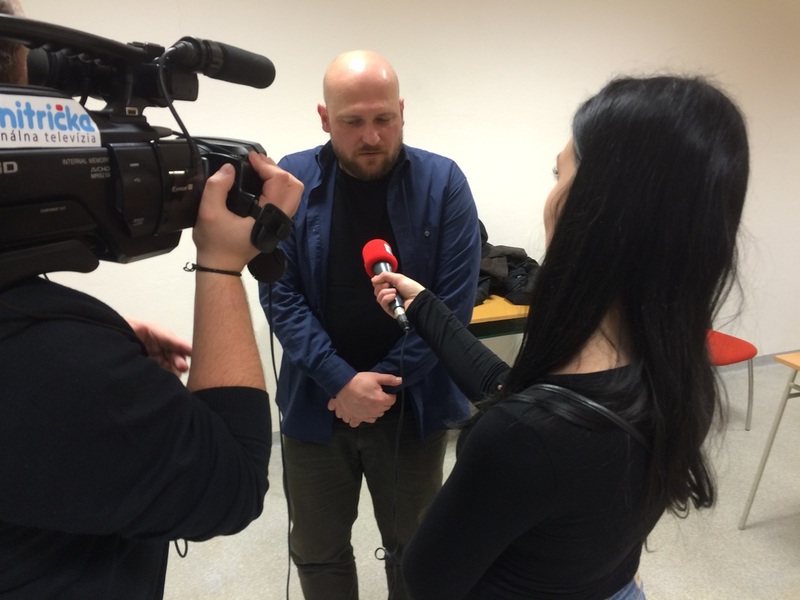 TV Nitrička recorded a short reportage about the event which can be found HERE. 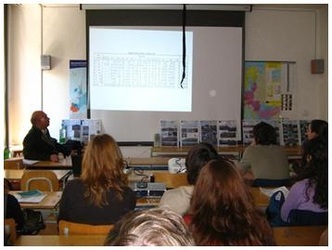 The workshop took place on April 4th, 2011. 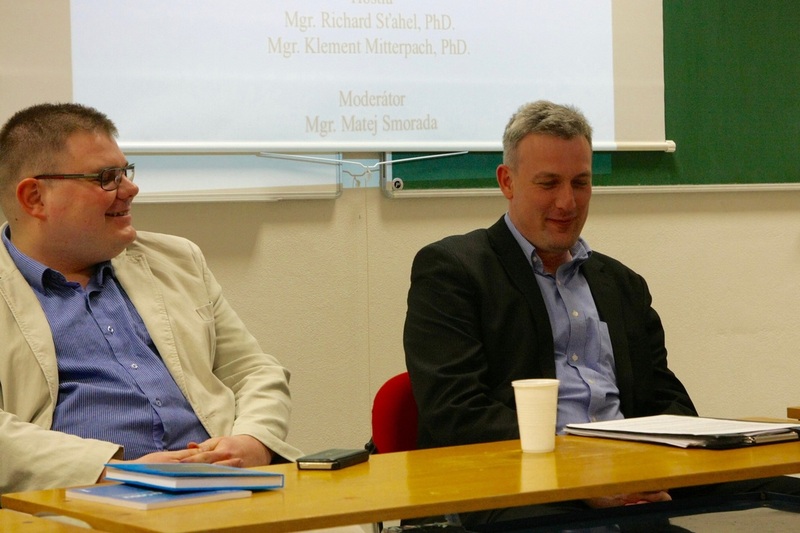 It was focused mostly on the questions about Fair Trade, globalization, interculturality and ecology in relation to world trade. 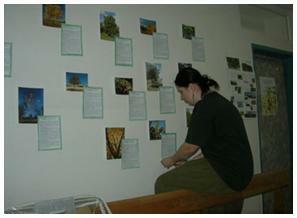 The year 2010 was proclaimed an International year of Biodiversity. 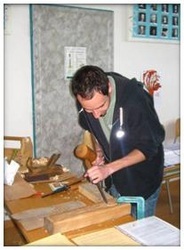 The Workshop took place on that occasion. 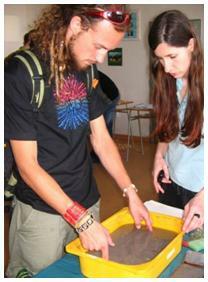 Biodiversity expresses diversity and changeability on all levels of living nature organisation – from the genetic level up to diversity of communities and ecosystems, plenitude of species occupying a particular place and balance in distribution of specimen within species of community. 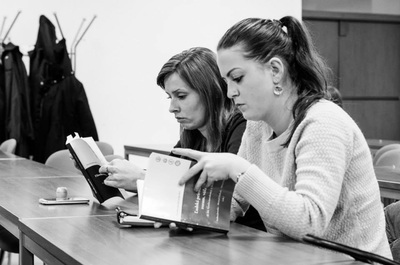 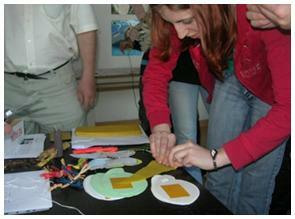 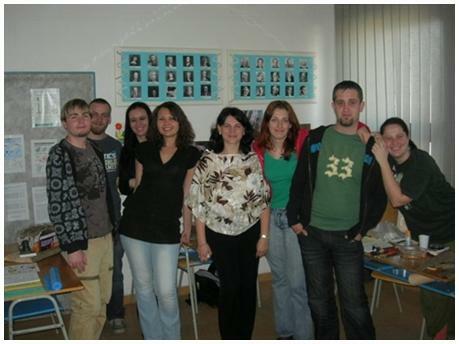 The workshop took place in the Department of Philosophy, Nitra, April 24th 2008. It reflected on the fact, that April was proclaimed a Month of Woods. 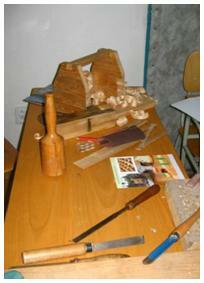 The concept rested upon the main thematic focus on relation of man to forest. A forest can be perceived by all senses – seen, tasted, heard, smelled and touched.